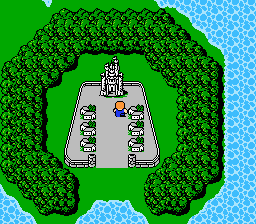 Play Final Fantasy Ultra online with Nintendo NES browser emulation for free! 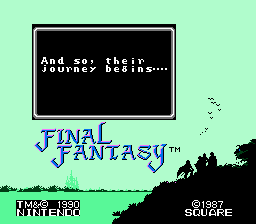 Final Fantasy Ultra is a rom hack of Final Fantasy (NES). Play it with our flash, java and rgr plugin emulators. Nothing to configure, we've done it for you! 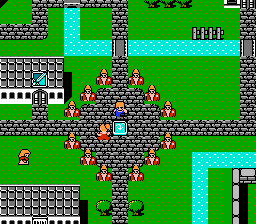 A Final Fantasy hack, five years in the making. The philosophy is to add and change as much as possible for the better, while still staying true to the spirit of the game. Here is a list of improvements. • Each class is especially good at one thing and average to bad at everything else. • Except the Fool class, who is bad at everything. • Battle animations sped up. • Spells are divided into direct (the top two spells in a store) and indirect (the bottom half). • Many spells added and altered. • Every level of magic has a single target damage spell and all enemies spell. • FIRE only hits one enemy, making the HARM spell better against armies of undead. • Generally less spells that kill or stone in one hit. • More spells can be cast, especially for dedicated casters. • Intellect influences the power of spells. • Spell damage is also stronger, but since hitpoints have also increased, damage spells are only relatively stronger for casters with high intelligence. • More interesting enemy properties, such as regeneration and elemental properties. • TMPR spell works properly. • Everything has more hit points, making fights more tactical. • Enemies drop less gold, making chests much more attractive, and forcing the player to choose between which items they want to buy the most. • Only two types of armor (Body and Shield) so there’s more room to store magical items. • Only the 10 magical items can cast spells. • Poison and regeneration is now at 10%. • Any combination of classes (without twins or Fools) can properly beat the game. • No combination of classes is remarkably better at beating the game than another. • Added escape teleports in most of the dungeons, making it more attractive to level up where the action and gear is. • Balanced game to make full trip through whole dungeon on first try very hard, but rewarding to go in, get some loot, restock and go in again to get further. 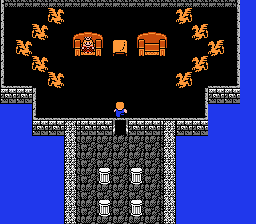 Most dungeons take around three trips to complete. • Most fights can be run away from, except on ‘tiled’ squares. Dragons, Mindflayers, Eyes and Bosses are not runnable. • Getting the Ship, Papyrus, Oxyale and Crown requires doing a dungeon. • Four extra dungeons to do after Tiamat. • All sorts of new paths and new tricks. 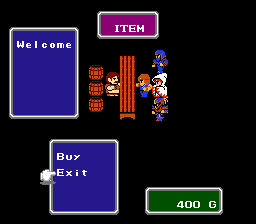 • Dungeons feature items found in nearby towns, giving incentive to try to get the items there instead of just buying them in shop. • End dungeons feature special end-game weapons for each class. 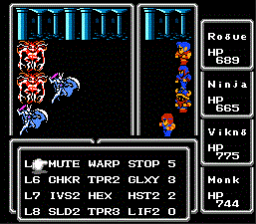 • Boss battles made much more interesting. • Player can immediately go to Dwarf Cave, which is a tough trip but grants extra gold. • Player doesn’t need Ship to get to Elves. • Player doesn’t need Airship beat the game, as ports have been removed. • Three places where player can fight against tougher enemies for experience boost if they’re into that kind of thing (like the original PoP). • You now save a prince instead of a princess. Corneria has two queens. For gender diversity. • Secret overpowered enemies for bragging rights. 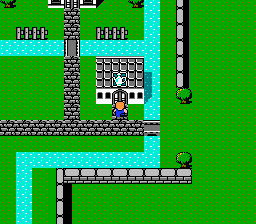 • Mystic Key only unlocks items in Dwarf Cave, Elf Castle and Human Castle. • Hundreds of tweaks not worth mentioning. • Years of polish thanks to dozens of playthroughs and feedback from playtesters.